Data is growing at explosive rates. In all surveys Storage & Data Management is considered as a top priority among all CIO's and IT administrators. Even in midsize and smaller organizations hundreds of terabytes to petabytes of data needs to be managed. Compliance and regulatory requirements are forcing longer retention terms. This scale is becoming a genuine challenge for administrators who are looking for scalability, performance, data resilience and recovery, that are also fitting within their budgets. Business Benefits of SDN Why SDN for Enterprises What’s in it for me? Software-defined networking (SDN) has demonstrated the capacity to turn the network into an enabler of modern IT environments and business needs and not a bottleneck. The concept of SDN is to externalize the control plane to a centralized controller or other service. By centralizing the controller or service, opening APIs, and using software to program the network, SDN can help to eliminate the manual processes, configuration inflexibility, and latency challenges associated with device-centric networking. Mellon partners with NEC to support it's Virtual PC Center Thin Client Solution. 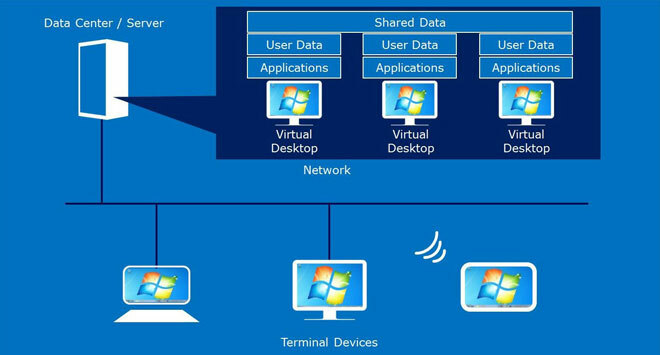 NEC’s Virtual PC Center (VPCC) is a complete desktop virtualization solution that provides a secure computing platform for the enterprise with all the benefits of a centralized management model offered from a single vendor. The solution is built on top of VMware’s or Microsoft virtualization platform but is the only virtual desktop software solution fully integrated with its hardware servers and thin client devices. Leveraging the rich heritage of mainframe and supercomputer development, NEC's Server Family delivers innovative features that address today's complex IT infrastructure computing needs. From highly efficient, flexible servers with a Japanese reputation of rock solid reliability for data centers that require large-scale consolidation, to servers that are easy to set up on demand for office environments that require small or medium-scale consolidation. Powered by energy efficient and powerful Intel® Xeon® processors, NEC's Server Family delivers the proven performance and advanced functionality that deliver real solutions to reduce procurement and operations costs.